LONDON, United Kingdom — British athletic fashion brand Sweaty Betty is opening a new flagship store in London next month, complete with three floors of fashion, fitness, food and beauty. Located at No.1 Carnaby, the 3,500 sq ft unit will be the brand’s largest store in Europe, with space for a fitness studio, a Duck + Dry blow dry bar and a cafe courtesy of Farmgirl. “19 years and over 50 shops later, I’m so excited to introduce our flagship No.1 Carnaby,” said Founder Tamara Hill-Norton. Having spent the past couple of years focusing on expansion across the US, the launch of a new UK flagship store couldn’t come at a better time for Sweaty Betty, as the UK’s sportswear market looks set to increase by 8% to £2.5bn by the end of the year. And it’s not just dedicated activewear retailers such as Sweaty Betty and lululemon that will benefit. More and more fashion retailers are leveraging the trend for sportswear, with online retailer ASOS set to launch its own label sportswear later this year, while sports brands that were popular in the 1980s and 1990’s continue to make a ‘comeback’. “As fashion retailers such as New Look, Primark and ASOS invest in affordable, trend-led own brand sportswear ranges, female shoppers have access to more choice, will spend more on impulse and will purchase athleisure pieces in replacement of core casualwear items,” Patton argues. 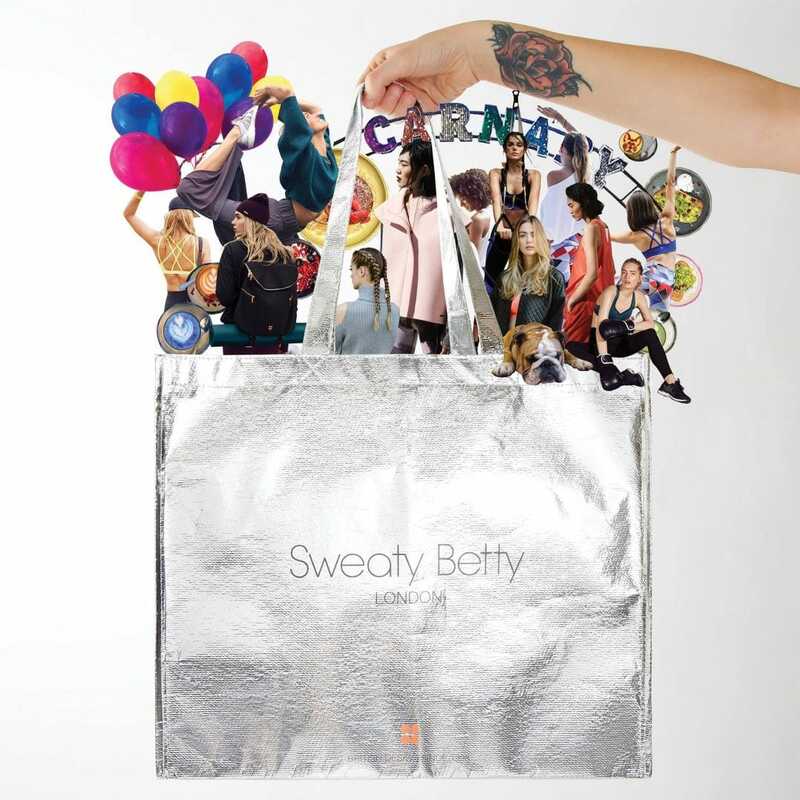 However, in order to compete in the increasingly crowded sportswear market, Global Data argues that more premium brands must find ways of increasing destination appeal through exclusive gym classes, VIP services and other interactive initiatives — Sweaty Betty’s No.1 Carnaby destination aims to do just that.